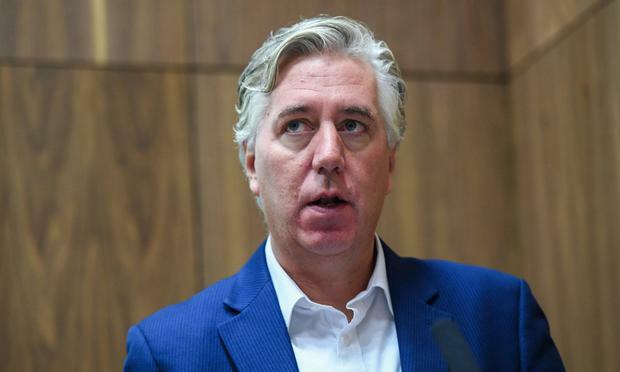 Today, the nine members of the Oireachtas Committee on Sport will have an opportunity to do something that few in the media have ever enjoyed – grill John Delaney. They better not blow it. Perhaps the most surprising thing about former FAI CEO and current executive vice-president John Delaney is his longevity. No matter what the crisis or controversy, Mr Delaney not only survives, he thrives. But the highly unorthodox manner in which he lent €100,000 to his employer in 2017 has cast a spotlight not just on his own tenure in office, but on the entire organisation. First of all, there was Mr Delaney’s attempt to prevent the ‘Sunday Times’ from breaking the story – an emergency injunction application in the High Court on Saturday, March 16. This begs an obvious question. Why was he so eager to prevent this information from being made public? Why did he try to gag the media instead of engaging in a transparent explanation of what had gone on? And, why has a comprehensive account of the circumstances surrounding that loan not yet come to light nearly four weeks later? First described in an FAI statement as a “bridging” loan which was “required to aid cash flow”, the implication was clear. Nothing to see here. The FAI needed a temporary dig-out, and Mr Delaney was on hand to provide it – and was repaid in full shortly after. Now, after coming under sustained public and political pressure, the tenor of the FAI’s commentary on the affair has changed. In a submission prepared by FAI President Donal Conway in advance of today’s Oireachtas committee meeting, he refers to the €100,000 bridging loan as a “payment” and “issue”. We don’t yet know if this is mere semantics, or if this change in description is of deeper significance. Potentially explosively, Mr Conway also states that previous comments by the FAI itself “did not accurately reflect the board’s level of awareness of the existence of the €100,000 payment to the association in 2017”. Does this mean that the FAI misled the public? Or, even more seriously, misled Sport Ireland, which provides €3m in grant aid to the organisation every year, in its account of what happened? Given the fact that this story has dominated headlines since it was first revealed, one would have thought that the FAI would at least have been able to release a reliable statement on the matter. Evidently not. Which should raise further concern about a culture of secrecy and lack of transparency within the organisation. We have seen this before in other institutions. It appears to be a perennial problem in Irish public life generally. A review of the Department of Justice, published in 2014, found it had a “closed, secretive and silo-driven culture” and a lack of “strong strategic oversight”. Similar findings have routinely been made in relation to An Garda Síochána, in numerous reports, with an “insular and defensive” culture being blamed for a lack of reform. Are we now going to have to add the FAI to the list of institutions where the first automatic response, when a controversy erupts, is to circle the wagons and embark on an arse-covering exercise? The only thing we do know, with any degree of certainty, is that nobody is happy with the answers that have been forthcoming from the FAI to date. Last week, when the CEO of Sport Ireland, John Treacy, appeared before the Oireachtas Committee on Sport, he said the circumstances surrounding Mr Delaney’s €100,000 loan were “extraordinary” – especially the fact that nobody had ever divulged that it happened. Mr Treacy further declined to express confidence in the board of the FAI primarily because of the reluctance of the FAI to be forthcoming about what had gone on. Sport Ireland, in its efforts to get to the bottom of the matter, sent two separate letters to the FAI. In its first response, the FAI merely acknowledged the letter without providing any answers at all. In its second, which arrived on the morning of the appearance of representatives of Sport Ireland at the Oireachtas, Sport Ireland was again fobbed off. That letter did not “provide any explanation regarding the loan or repayment… and there was no legitimate reason given as to why they cannot provide this either,” said an obviously irritated Mr Treacy. Mr Conway, in his advance statement to the Oireachtas committee, has admitted there is a problem within the organisation that needs to be addressed. “I know we have much work to do to rebuild trust and confidence in the association and we are committed to achieving this as a board,” he wrote, but talk is cheap. The FAI can today choose to be open about what went on, and answer questions comprehensively, or it can instead choose to be bullish and evasive. Comments from Mr Delaney last week, when he insisted stepping down as CEO had nothing to do with the current controversy and related to being overworked by doing “three jobs” at once, suggest that he is likely to be combative in his approach. Meanwhile, whether today’s crunch meeting results in more heat than light will also depend on the performance of the Oireachtas members tasked with interrogating FAI officials, particularly in the wake of Sport Ireland’s decision yesterday to withhold funding. Oireachtas committees have recently come under sustained criticism, for being more concerned with showboating by TDs and senators than acting in the public interest by asking pertinent questions, and today will be a big test of whether that critique has been taken on board. As one of the most divisive figures in Irish public life, Oireachtas members may be tempted to spend their time attacking Mr Delaney to get an easy headline. They would be doing a huge disservice if they engage in this kind of juvenile behaviour. There is nothing to stop TDs and senators fulfilling their role in a polite and considered manner, while also getting answers to important questions. They don’t need to put on a show for the cameras. Asking short, pointed questions, and using follow-up questions to elicit more detailed answers, should be the way in which committee members approach today’s meeting. All too often, committees of this nature descend into farce as members use their time to make long-winded statements that don’t result in a scrap of useful new information coming to light. Today’s committee meeting will tell us a lot about whether the FAI is taking this controversy seriously, but it will also indicate whether Oireachtas members are up to the task of holding those in publicly funded institutions to account.